Our 17” COTS Wall-Mount Rugged LCD Display (MRD-Series) was designed with shock and vibration safeguards provisions for extreme environments and designed to meet a wide variety of applications such as Shipboard, Airborne and Ground Mobile for use in extremely harsh conditions found in many rough COTS Military LCD Display Applications. Our 17” COTS Wall-Mount Rugged LCD Display (MRD-Series) was designed with shock and vibration safeguards provisions for extreme environments and designed to meet a wide variety of applications such as Shipboard, Airborne and Ground Mobile for use in extremely harsh conditions found in many rough COTS Military LCD Display Applications. This unit is capable of operating with legacy timing such as RS-170 (525 Line) and RS-343 (875-Line) Interlace formats. Also, NTSC/PAL Video (RCA Jack), S-Video (5 Pin Mini-Din) and VGA (HD15-DSub) Standard VESA Input Timings. With the availability of selecting aspect ratios of 1:1 or 4:3 on all video inputs through the use of the On Screen Display (OSD) Menu. The MRD1817 COTS Wall Mount Series is a 17” cost-effective LCD Display, packaged in a heavy duty cold roll steel enclosure with heavy duty aluminum front bezel, internal rugged construction and bonded Anti-Reflective protective faceplate glass for superior optical performance and better protection on extreme environments. These features make this 17” COTS Wall Mount Rugged LCD Display unit great for use in demanding applications that require graphics, video, and other RGB data on a single, rugged display. 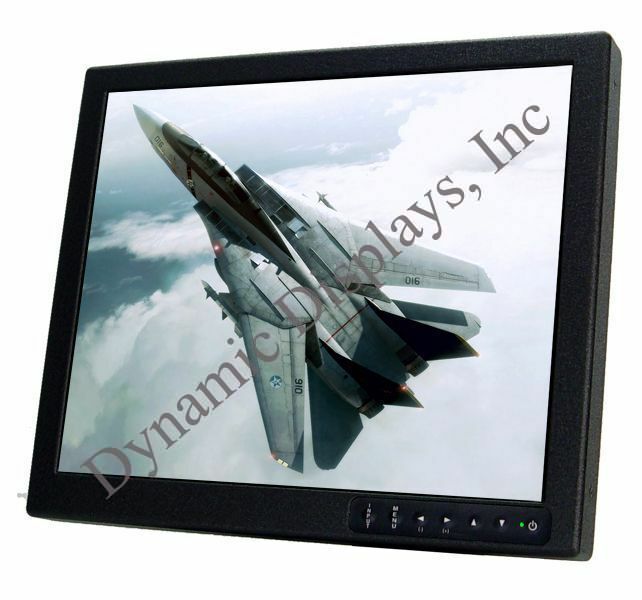 Target application platforms for the MRD1817 COTS Wall Mount Rugged LCD Military Display Monitors include: Surface Ships Displays, Air Traffic Control, Military Navigation Display Monitor and Commercial-off-the-shelf (COTS) Military Displays Applications. 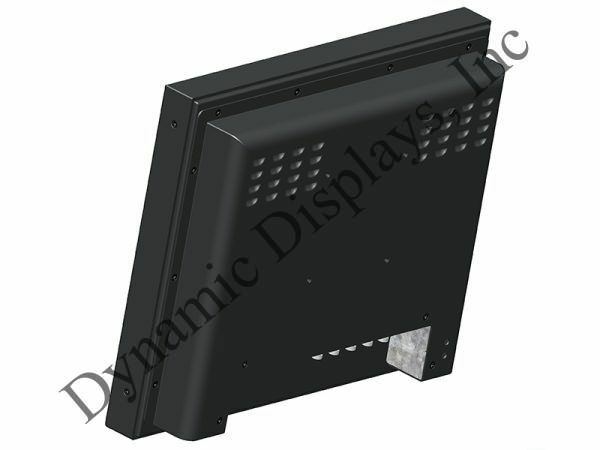 Each MRD1817-series 17" Wall Mount LCD display is capable of operating with legacy timing such as RS-170 (525 Line) and RS-343 (875-Line) Interlace formats - Interface Panel.